When we posted some of our baby pictures, we told you about the “scarf”. 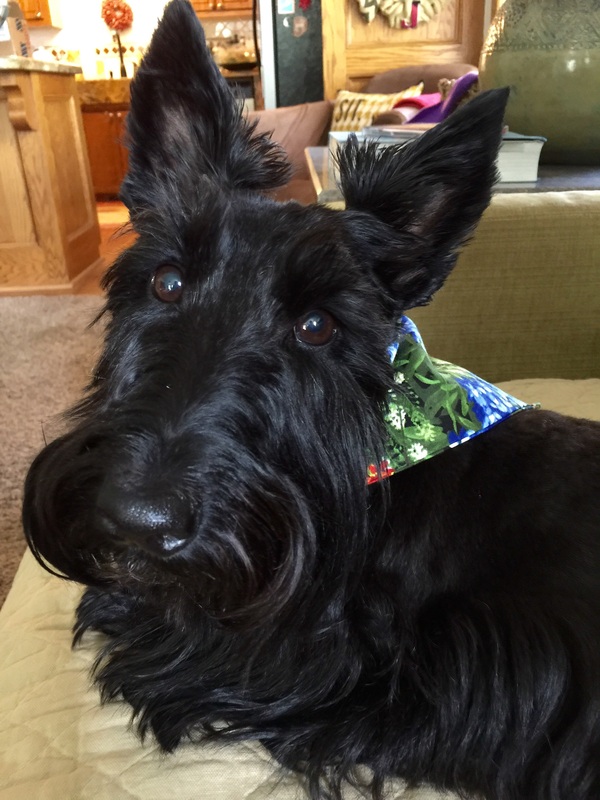 Mom really wanted us to wear bandanas because first Scottie Sophie was never without one. Mom stumbled on another use accidently. 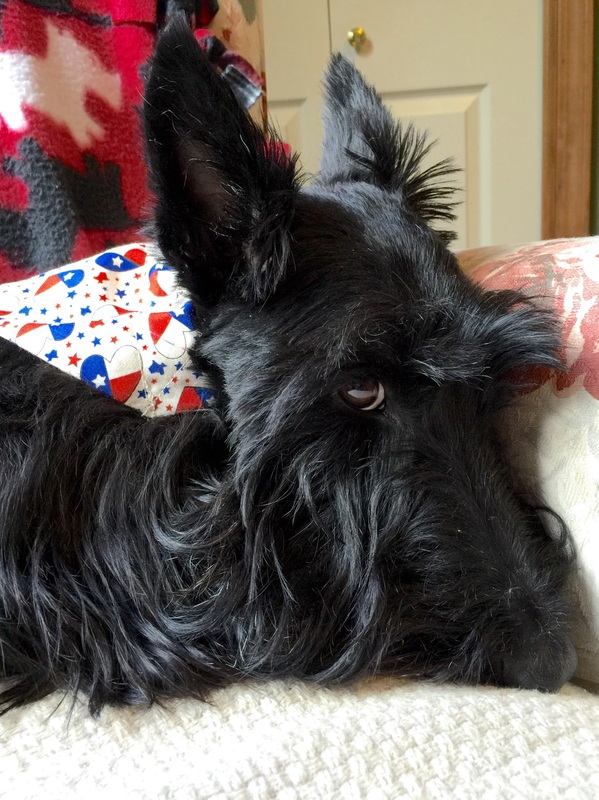 She then began to use it as a way to keep us rowdy Scotties in line. It still works even though Mom doesn’t use it much anymore; it never fails to get our attention. 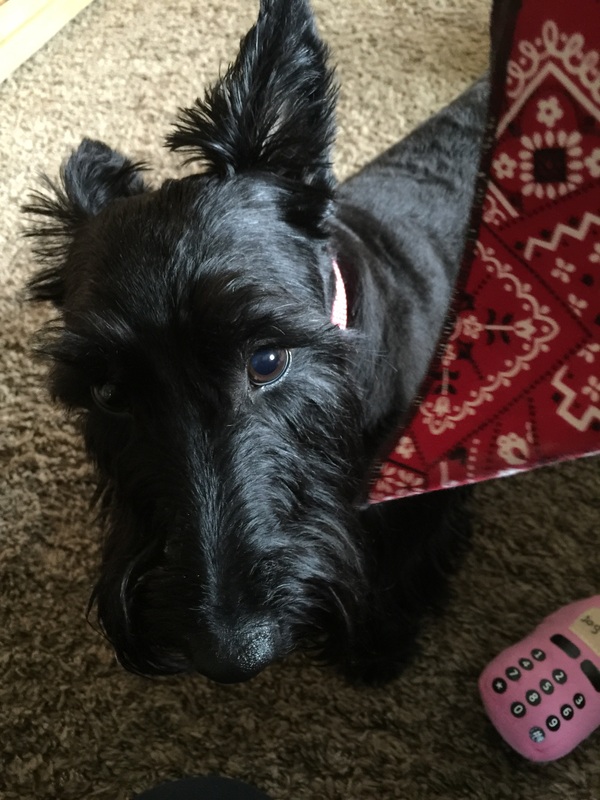 So these lovely scarves that Diane Lewis( thank you, Diane) made us are going to go to some other lucky Scotties because despite the fact they are so cute, this is what happens if we have to wear them.